The Games on Demand version supports English, French, Italian, German, Spanish, Russian. Dutch and Polish supported via text only. Download the manual for this game by locating the game on http://marketplace.xbox.com and selecting “See Game Manual". (Online Interactions Not Rated by the ESRB) Awakened by the End of Days, Death, the most feared of the legendary Four Horsemen embarks on a quest to redeem his brother's name. Become the terrifying force which everything fears but nothing can escape. Featuring multiple exclusive side-quests, this pack allows the most fearless adventurers to explore more of the Maker's Realm and Dead Plains and earn additional experience and loot. 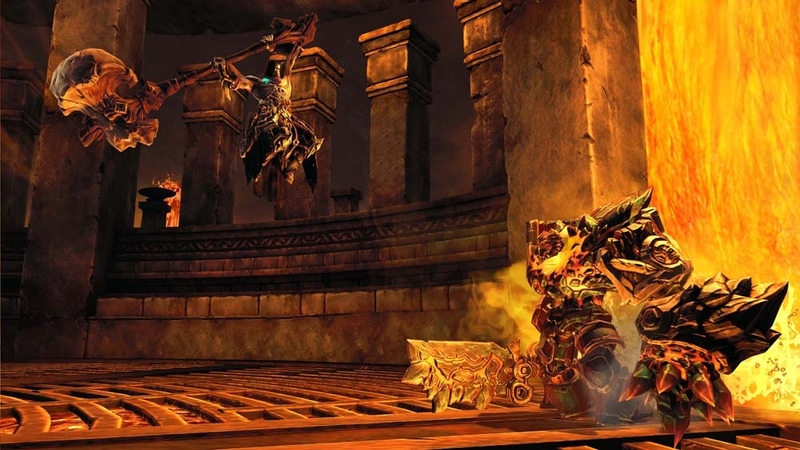 Aid an ancient Construct, battle The Bloodless and retrieve Karn's lost treasure in this unique game play content. Please note this item is NOT included in Season Pass which ONLY includes the Maker Armor Set, The Abyssal Forge, and The Demon Lord Belial. Give yourself an edge with a unique set of enhanced armor with a heavenly design as well as a pair of upgraded matching scythes and a new colored VFX trail for your trusty crow Dust. Please note this item is NOT included in Season Pass which ONLY includes the Maker Armor Set, The Abyssal Forge, and The Demon Lord Belial. Visit darksiders.com for more details. Pulverize your enemies with the Van der Schmash. This item is best suited for 5th - 10th level characters. Please note this item is NOT included in Season Pass which ONLY includes the Maker Armor Set, The Abyssal Forge, and The Demon Lord Belial. Visit darksiders.com for more details. Bludgeon your foes with the Fletcher's Crow Hammer. This item is best suited for 5th - 10th level characters. Please note this item is NOT included in Season Pass which ONLY includes the Maker Armor Set, The Abyssal Forge, and The Demon Lord Belial. Visit darksiders.com for more details. Season Pass provides a discount on the Maker Armor Set (available now), The Abyssal Forge (available soon), and The Demon Lord Belial (available soon). Please note Season Pass does not include any content other than the three items listed above. If you own the Season Pass, all content should be accessed in-game AND NOT DOWNLOADED from Xbox LIVE Marketplace, or you will be charged twice. Visit darksiders.com for more details. Prove your greatness with the Mace Maximus. This item is best suited for 5th - 10th level characters. Please note this item is NOT included in Season Pass which ONLY includes the Maker Armor Set, The Abyssal Forge, and The Demon Lord Belial. Visit darksiders.com for more details. 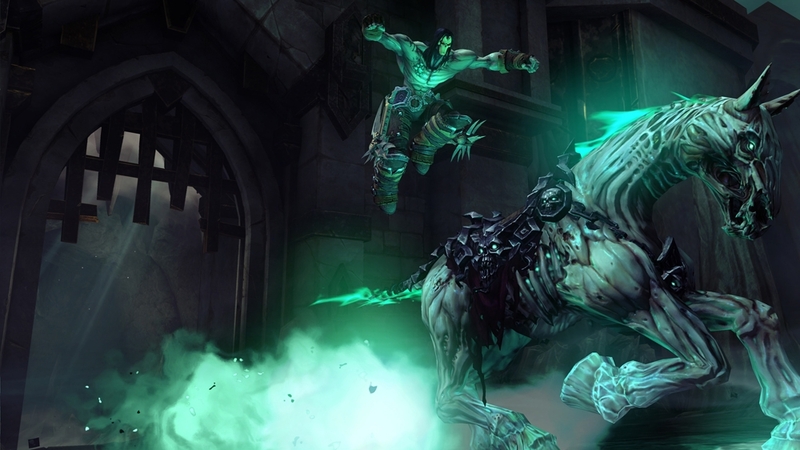 (Online Interactions Not Rated by the ESRB) An entire new area to explore, further extending the Darksiders II experience. If you own the Season Pass, all content should be accessed in-game AND NOT DOWNLOADED from Xbox LIVE Marketplace, or you will be charged twice. Visit darksiders.com for more details. Please note this item is NOT included in Season Pass which ONLY includes the Maker Armor Set, The Abyssal Forge, and The Demon Lord Belial. Visit www.darksiders.com for more details. No mere shield, Mortis is a buckler with a mind of its own – more than willing to bite back at opponents who dare attempt to strike it. This item is best suited for 5th level characters. Please note this item is NOT included in Season Pass which ONLY includes the Maker Armor Set, The Abyssal Forge, and The Demon Lord Belial. Visit darksiders.com for more details. Features a permanent speed boost for Death’s trusty steed Despair, allowing players to travel across the vast world even faster than before. Please note this item is NOT included in Season Pass. Visit darksiders.com for more details. 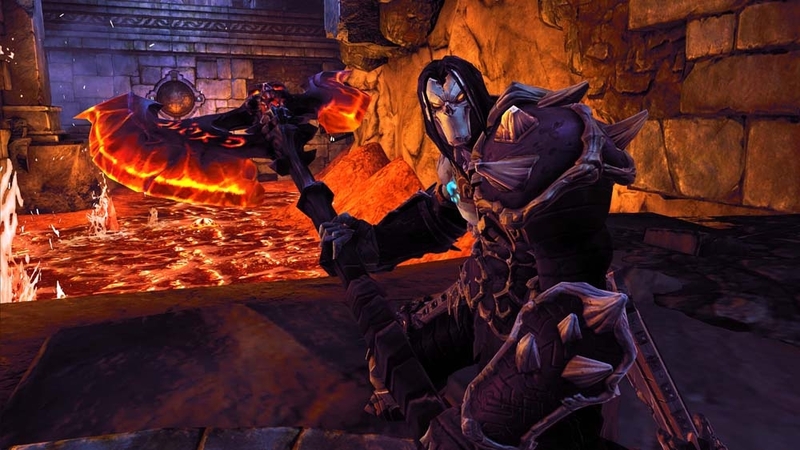 (Online Interactions Not Rated by the ESRB) A new dungeon and new character options to explore, further extending the Darksiders II experience. Season Pass content should be accessed and downloaded in-game, or you may be charged twice. Visit darksiders.com for more details. 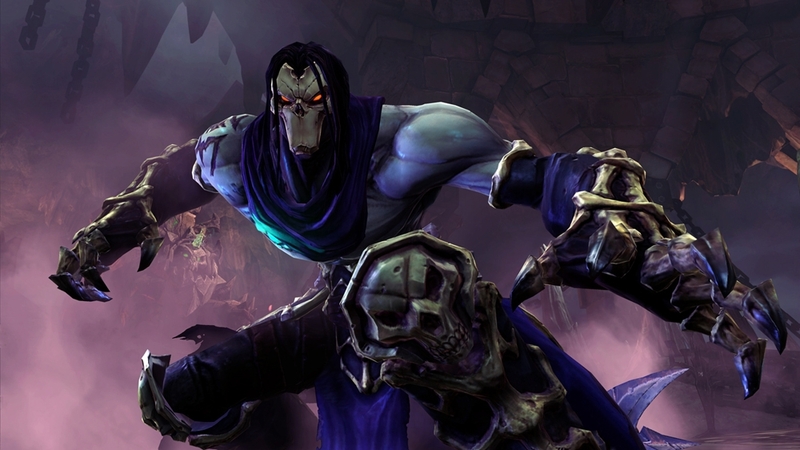 A whole new dungeon to explore, further extending the Darksiders II experience. Please note this item is NOT included in Season Pass which ONLY includes the Maker Armor Set, The Abyssal Forge, and The Demon Lord Belial. Visit darksiders.com for more details. Strike fear into the hearts of your enemies with the otherworldly Shadow of Death Armor and Scythe set. Please note this item is NOT included in Season Pass which ONLY includes the Maker Armor Set, The Abyssal Forge, and The Demon Lord Belial. Visit darksiders.com for more details. Watch your enemies flee in terror with Rusanov's Axe. This item is best suited for 5th - 10th level characters. Please note this item is NOT included in Season Pass which ONLY includes the Maker Armor Set, The Abyssal Forge, and The Demon Lord Belial. Visit darksiders.com for more details. Forged by a race of beings that created the Universe itself, the Maker Armor Set is renowned for its ability to withstand punishment from even the fiercest of foes. This item is best suited for 5th level characters. If you own the Season Pass, all content should be accessed in-game AND NOT DOWNLOADED from Xbox LIVE Marketplace, or you will be charged twice. 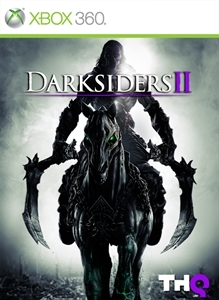 Visit darksiders.com for more details.